At first glance, Jake, Shayna, Seneca, and Conner seem like average teens. Maybe even like some kids you know. But theyre special. They know that magic, spells, and prophecies are real. 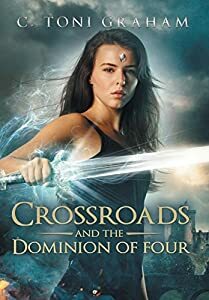 In Crossroads and the Dominion of Four, author C. Toni Graham continues the tale introduced in Crossroads and the Himalayan Crystals. The teens have accepted their fate as defenders of the Otherworld. The realms mythical beings have chosen sides in a deadly magical war, but its not always clear to whom they pledge their allegiance. Jake, Shayna, Conner and Seneca must use their new magical abilities to battle treacherous creatures and face life-altering crossroads. Only a powerful druid and her loyal minions stand in their way to fulfilling their destiny of becoming the prophesized Dominion of Four. The Crossroads series brings together creatures and humans as they fight for the common goal of returning harmony to the Otherworld and rid the realm of evil forever. Teen readers and fans of action-packed fantasy genres will enjoy this thrilling saga. 2018 Reader's Favorite Bronze Award Winner for Best Young Adult Action Novel. A female-led, action-packed fantasy in a Dungeons & Dragons inspired world. In 1942, an unlikely heroine changes the course of history. 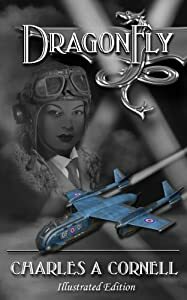 On the eve of invasion by the Nazis, twenty-two year old RAF pilot Veronica ‘Ronnie’ Somerset is fighting another battle - winning respect within the stuffy, male-dominated British military. She’s feisty and brash and determined to overcome every obstacle to become Britain’s first female combat pilot. Across the English Channel, Reichsführer Bernhardt Morax, Hitler's personal sorcerer prepares his army of Blutskriegers for the invasion of Britain. The Blutskriegers are bio-mechanical warriors created by a Nazi occult science whose dark secrets cross the boundaries of evil. Both the Kindle and print editions of DragonFly contain illustrations that make the action jump off the page, including character dossiers, historical ‘retrographs’ and fantastic designs of retro-futuristic aircraft. (sixty illustrations in the Kindle edition, thirty-three in the print edition). Strap yourself in for a wild five star ride as award-winning author Charles A. Cornell takes you on his science fiction/fantasy adventure, DragonFly set in an alternative World War Two. Visit www.DragonFly-Novels.com for web exclusive illustrations and additional background on the Missions of the DragonFly Squadron. "The thrilling climax... outdoes any big action flick for sheer sweep and menace. Cornell hits a home run!" - Ken Pelham, award winning author of the mysteries, 'Brigand's Key' and 'Place of Fear'. "There is a lot to like about Dragonfly... surprises... intrigue... in a world that doesn't particularly follow the history that we know." - Bard Constantine, author of 'The Troubleshooter' series and 'Silent Empire', dieselpunk novels. "It was fantastic … Charles has done a wonderful job blending alternate history with the mystical. His characters are well developed. I was disappointed when it ended." - John Charles Miller, award winning short story writer and author of the alternative history novel, 'Citrus White Gold'. "Is the golden age of science fiction dead? More likely, we’ve entered a new Golden Age. Charles A. Cornell delivers a classic example of where 21st century science fiction is heading... Cornell doesn’t just put his protagonist up a tree and shoot at her; he puts her in the midst of machine-gun fire, rockets’ red glare, and bombs bursting in air. Before Ronnie has time to locate all the dials and buttons on her first test flight, she’s in a dogfight with the Germans. And you won’t believe what they’re flying! Mysteries in this novel could keep book club members talking for weeks. Or years." Book 2 in the award winning Orville Wellington Mouse series, from the creator of Bartholomew the Adventurer! A romping tale of adventure, science and magic for all ages! Orville Wellington Mouse unwittingly sets off a galaxy shaking chain of events when he buys his mum a lovely birthday necklace from Miraculum’s Fine Antiques. 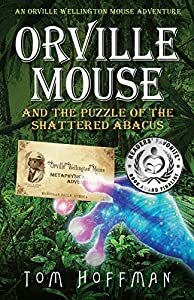 When Orville and his best friend Sophia Mouse observe a small glass marble breaking the laws of physics they set out to discover the cause of its extraordinary behavior, unexpectedly revealing the marble’s astonishing connection to his mum’s new necklace. The pair of young Metaphysical Adventurers soon find themselves in a desperate race to prevent time from stopping in their galaxy. With help from their good friend Proto the Rabbiton, Master Marloh of the Metaphysical Adventurers, the Mad Mouse of Muridaan, Ollo the Rock Mouse, Myrmac the Brave, the King of Ants, the Shrieking Terror of Tatuid, and Captain Patcher of the Dragonfly Squadron, Orville and Sophia must travel to the terrifying apocalyptic planet of Varmoran to discover the incredible truth that lies within the mysterious blue marble. It’s not easy being the youngest of seven sons in a family of notorious sorcerers, especially for Ayden Dracre. In a world where sorcerers only practice dark magic and wizards only practice light magic, Ayden has a problem; he is very bad at being bad. Try as he might, all of his spells to cause mayhem go awry. When he finds out that his family has had enough of his mistakes, he decides to take destiny into his own hands. 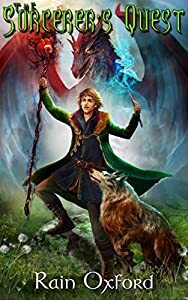 He has one chance to prove to his family that he is worthy of the sorcerer name or he will find himself on the unfortunate end of his mother’s wrath; he must defeat the greatest wizard of all the lands. There are only two problems: he doesn’t know how to fight with magic, and he doesn’t want to hurt anyone. If he’s going to survive this quest, he will have to rely on the most unlikely allies. The King was dead. His body was found slain in his room, only months after his son had been brutally murdered. Skylar Mandolyn, his daughter, has now become the last heir. But instead of becoming Queen, she has been imprisoned for helping in the escape of Sir Harlin Brien, her knight who was framed for the King’s murder. 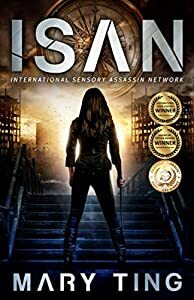 Confined to darkness, Skylar's captors have given her no choice but to yield to a new kind of enemy: a kingdom that has advanced in both technology and warfare. When she refuses, the prison uses other means of persuasion, and although unmerciful, the whip lashings and isolation can't suppress the memories of her family's downfall. 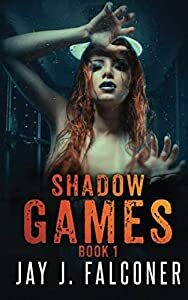 Pulled between her subconscious and reality, Skylar already knows who the true enemy is, because even the darkness can't hide the deceptive hands that have destroyed them all. With two kingdoms on the brink of war, Skylar's only hope is in the person who has gone missing—Harlin, the knight who was sworn to protect her. 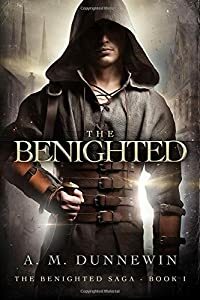 While the tremors start to rise from the deep, crawling up through the prison's walls, Skylar doesn't realize that she will soon see why he's one of the Benighted. The mystery was never how Harlin escaped. It's how he'll return. Madison Rosewood is about to graduate and head off toward a big, bright future that any kid would kill for: a full ride on a track scholarship, the world's greatest best friend, and an aunt that has always provided for her. The problem? Madison just wants to find her birth parents, even if it costs her all of the above. When her Aunt Ruth is kidnapped, all of Madison's plans are put on hold. 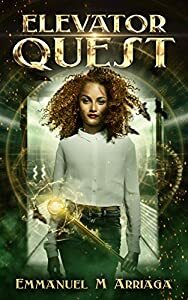 Guided by a mysterious stranger, Madison and her best friend follow Aunt Ruth's kidnappers through a portal into a hidden world called Everly. 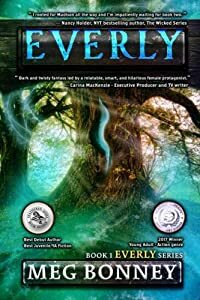 Traveling through fairy-lit caverns and towering oak forests, Madison quickly realizes that behind Everly's beauty is a world filled with treacherous magic, violent encounters, and shocking truths about her family. There, armed only with an enchanted sword and a sharp tongue, she battles her way past deceptive witches and bounty hunters to attempt a dangerous rescue that changes both her and Everly's future forever. For 15-year-old Emily Heart, the future always comes too soon. Homeless and alone, she survives with a hunger for revenge on those who rewired her body and ruined her life. In the blink of an eye, Emily's powers can pull her forward in time... and not even she knows how far she'll travel. Beat reporter Jim Miller has tracked the never-aging girl across decades. When he finally catches up with her, a group of gangsters is hot on her trail. As a former Marine, Jim offers her protection in exchange for the scoop of a lifetime. Emily knows Miller is her best shot at uncovering the truth behind her powers... and finding the wicked minds responsible for her timeless torment. But one wrong step could be the last one they ever take. Shadow Games is the first book in a series of exhilarating time travel thrillers. 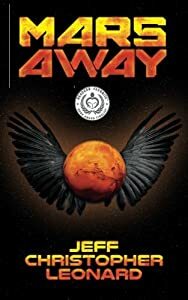 If you like superhuman heroines, fierce fight scenes, and sci-fi mysteries, then you'll love Jay J. Falconer's award-winning action adventure. Buy Shadow Games to jump into a fast-paced, futuristic showdown today! Rated PG-13 for language, violence, and sexual situations.